This is the third time I've tried Inktober. The first two times were fails. I'd go in, and after 5 or 6 entries, drop out. This time, however, despite an even busier month than previous, I was able to do 22 of the 31 days, which I think is a good achievement! Success was all about focus. I literally made the drawings part of my life. Instead of turning Inktober into some extra brief that I had to fulfil everyday, I went back to basics. 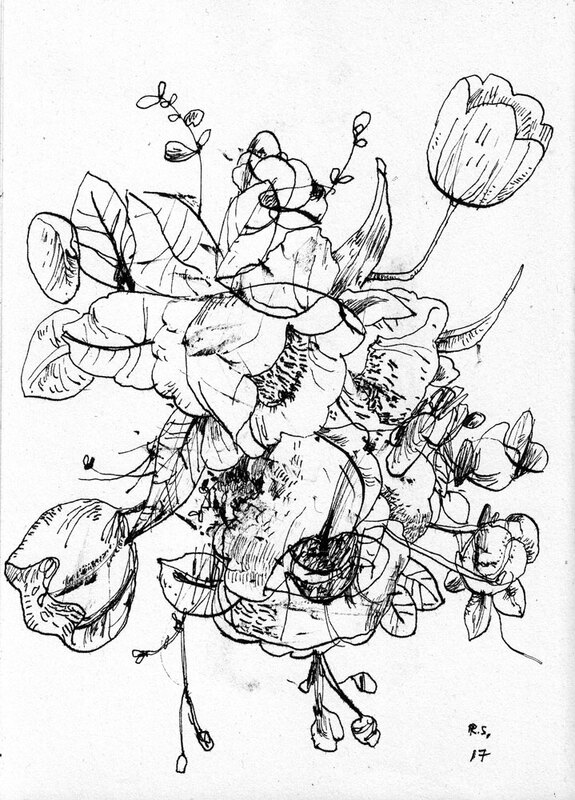 Ink drawings of whatever, whenever, however detailed - or brief - it is. Some people have a theme, some follow the guide words set by the Inktober crew themselves. But me, I decided to make it very casual, snapshots of everyday life. And I found my Inktober drawings more interesting because of it, looking back at them. Every October, artists all over the world take on the Inktober drawing challenge by doing one ink drawing a day the entire month. I created Inktober in 2009 as a challenge to improve my inking skills and develop positive drawing habits. It has since grown into a worldwide endeavor with thousands of artists taking on the challenge every year. Anyone can do Inktober, just pick up a pen and start drawing.